Check out the rest of the pictures in our facebook album! 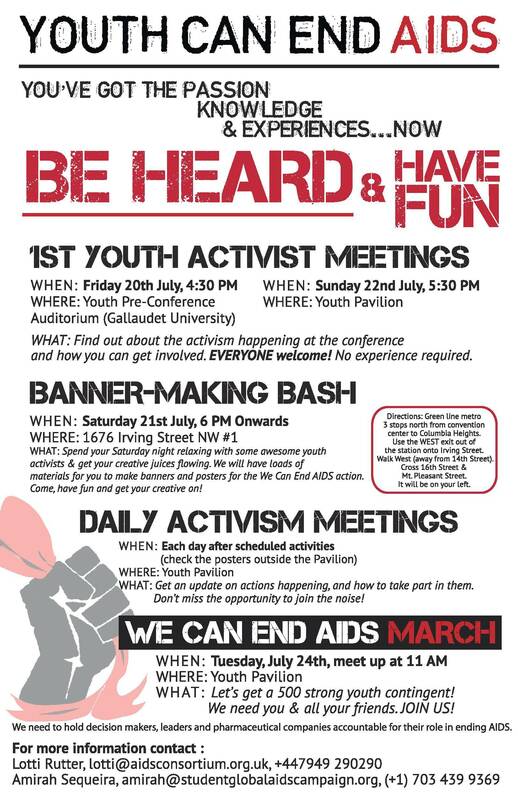 Check out the following materials to get a sense of what SGAC did at the International AIDS Conference. Points mean prizes (probably). Help us make noise and hold leaders accountable! 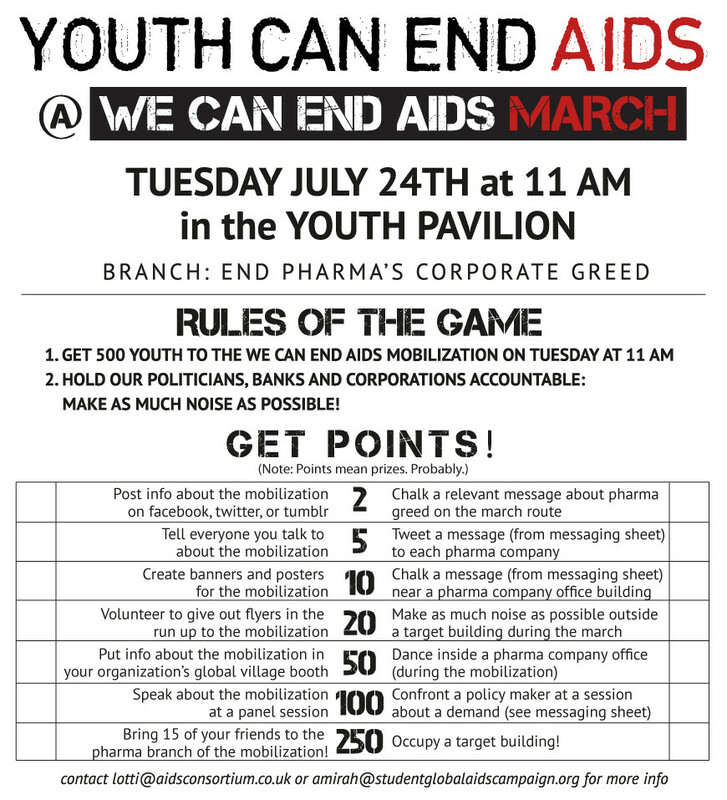 Can you help us get 500 young people to the We Can End AIDS March? Stop by our booth to pick up a hard copy and please share this image!